Are we there yet? Settled in? Hunkered down? Resigned and signed on for the “new normal ” of real estate? The same old that continues to look more and more like the same old as more time goes by? Our regular ration of news about the state of the market is due out any day now. A smattering of real estate-related stories will start popping up in the public domain presently. It’s the little flurry of activity that always accompanies the release of the previous month’s sales data. Don’t blink, because the half-life of these stories only quickens the pulse and fogs the mirror for a day or two. And don’t hold your breath either, thinking that the UPI guy is going to be delivering any big gift-wrapped packages to your front door. As we wander further ahead into the Ho Ho-Ho season we are going to find ourselves sinking further into the Ho-Hum season as far as real estate is concerned. Status quo seems to be the current quid pro quo. Stories sounding more like non-stories will be rearing their nondescript headlines in the daily press. Dressed in bold font. Spun this way or that to foster an air of enlightened importance. But in the end, there won’t be a whole lot of new news fit to print. Certainly not much news to use in any meaningful way for anyone trying to determine their own individual path forward through life. 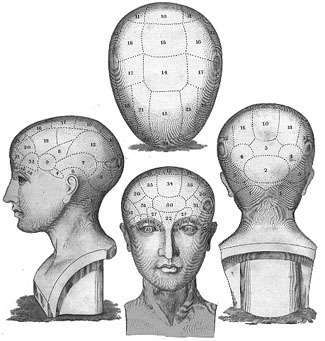 Maybe there’s some brilliant phrenologist out there with the ability to get a good “reading” from those upcoming headlines when they appear. Tickle some kind of intuitive sense or future perfect tense out of them. As for the rest of us? I’m guessing most Agents and Buyers and Sellers are going to remain hovering in the dark for quite awhile longer. Yep, the jury is still out even as the results are trickling in. Just as inconclusive as they’ve been. And had been before that. The median price is still lodged in soft tissues of the marketplace – between $500k and $550k. The number of sales has ratcheted down a little but not by a significant amount considering the small local sample – 140 to 119 year over year. The average price is still residing in the familiar confines of the same ballpark -$572k – one that simply isn’t allowing many home runs. The ubiquitous Unsold Inventory Index is holding steady in the 6-8 month range, the suggestion being that prices, for the moment, remain “stable” – if not completely and utterly uninspiring to principals on both ends of the average real estate transaction. Is the lack of news the real news? Here we are. Sitting on the edge of our musical chairs. Primed with anticipation after a whole year of kicking the can down the road. Wondering whether the other shoe is going to drop from the high wire balancing act of the economy. Or alternately wondering what miraculous confluence of factors is going to step up to give us a swift kick in the pants. Boot and reboot us forward. With Thanksgiving and Christmas on tap, we’ve got the perfect excuse to explain why people and properties aren’t moving faster. Faster better. Or faster worse. For another month or so, we can simply say that we aren’t really holding our breaths., we are all just taking a breather. Buyers are on temporary hiatus. Sellers are on sabbatical. Agents are on vacation. The market has given itself a voluntary furlough. There’s no way around it so we might as well use this time wisely. Take a few extra weeks to drop back twenty yards and survey the horizon ahead. Ponder the landscape before we decide whether we have to punt or not in the new year. We’ve thrown a lot of life preservers to real estate this past year just to keep it floating in the same place. Incredible interest rates. Tax credits. Buyer incentives of all shapes and sizes. What’s going to determine whether we sink, swim or continue to tread water this year? That’s easy. The big three: 1) Jobs. 2) The continuing machinations of the credit crunch. And…3) The disposition of the ominous shadow inventory that has grown to archetypal proportions in the realm of the collective unconscious. This entry was posted in Real Estate Of Mind Articles and tagged average price, median price, monthly sales data, real estate news, Santa Cruz sales, unsold inventory index on December 16, 2010 by tombrezsny. Real Estate isn’t Rocket Science!